We often get mails from people asking for the best pocket knives brands. This is a pretty complicated question that can't be actually answered. There are several knife brands out there and few of them established them. These brands manufacture high-quality material knives. There are hundreds of china-made knives, but they are not durable, not at all. And, the best thing about knife brands is that, they sell the knives at reasonable price because of hard competition ongoing between these brands. Here are the few things that you need to think about before you make a purchase from any brand. If you're buying an EDC knife, and expecting it to be the best hunting knife, then it would be so fool of you. What does the blade need to do? Who is the knife for? What kind of knife is most desired? Are there any mechanical preferences? So, without any further ado, let's discuss the main topic, i.e., Best Pocket Knife Brands. The very first brand in our list is Benchmade. 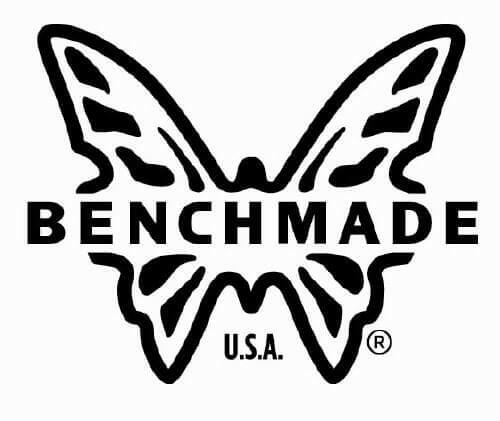 The Benchmade brand is extremely appreciated and has been since 1988, a shop started in California. Based in Oregon since 1990, they are the patent-holders of the famed AXIS locking mechanism. Benchmade is known for their axis lock on their folding knives, which assist as a sturdy locking mechanism as well as an easy blade deployment method. Besides, the company differentiates itself by creating its line of Gold Class knives. Benchmade makes knives that are ideal for outdoor activities from camping to backpacking as well as every day carry. Benchmade has developed pretty high-quality knives that stand out for completing daily tasks. The material used with-in the knives is pretty decent; makes this brand remarkably successful. Spyderco is another well-known brand. It is based in Golden, Colorado, and has pioneered many features that have become commonplace in EDC. These knives were the first to introduce things like one-handed opening and combo blades for the folding knives. Their knives are bold in their appearance, and most have the trademark “Spyderhole” near the spine of nearly all their folding knives which makes this ideal for those who wear gloves as this allows for easy deployment even with the bulkiest of gloves. Now, not all their knives are made in the USA. In fact, a good portion of their knives are now made overseas in locations such as Taiwan, Japan, and even Italy. However, this should not be regarded as a drop in their standards as production quality remains extremely high at their state of the art facilities in these countries. Spyderco uses quality materials such as S35V (stainless steel), but also uses 8Cr13MoV to save on the cost of production and then pass the savings on to their customers. Spyderco also has a series of customized pocket knives where you can choose your steel, the scales and even what is etched on the blade. This personalization of their famous knife designs is an excellent addition to an already great product. Kershaw Founded in 1974. Kershaw is presumably the best known for their small and mid-size tactical folders. Kershaw is owned by KAI, which also owns Zero Tolerance and Shun Cutlery which is focused on high-end tactical knives; high-end Japanese kitchen knives. Kershaw knives have shown up in celebrity hands on television and movies, ranging from Desperate Housewives to Driven to Kill. But their reputation isn’t based on the fame, but it’s based on the reputation for high-quality and stability that’s strengthen up by the sales numbers and testimonials from convinced customers. Kershaw is a well-known knife manufacturer that designs pocket knives, sporting knives. Kershaw knives are affordable and engaging with the vast collection of styles. Buck Knives is a famous American knife company known for its high-quality folding pocket knives. 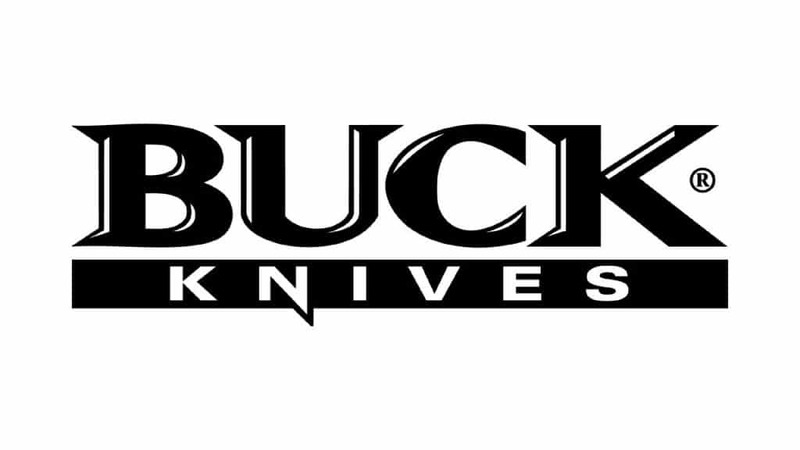 Buck was established in 1902 by the Buck family who wanted to produce the best hunting knife in the nation. The company gives customers a difficult-to-beat sequence of quality, efficiency, and iconic design; it remains one of the most well-regarded names in the knife's market for a pretty good reason. 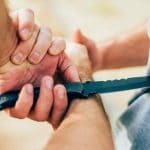 They are popular for generalizing the folding knife by executing the use of their traditional back lock system on the Model 110. Buck makes simple designs using high-quality materials and is ideal for the everyday carry. SOG was founded in 1986 by Spencer and Gloria Frazer and right now based in Lynnwood, Washington. Spencer Frazer was encouraged by the SOG Bowie knife carried by members of the MACV-SOG special ops unit to recreate their highly efficient knife and carry out a tribute to the men of this highly classified special operations unit. Since then, the lineup has expanded to include a myriad of folding knives, fixed blade knives, and multi-tools. Many SOG knives are field proven by the likes of law enforcement, US Special Forces, Navy SEALs, and military. The high quality of SOG's knives makes them great hunting knives, camping knives, and combat knives so whether you are batoning wood, developing a campfire, or defending yourself, SOG has a knife for you. SOG founder Spencer Frazer is the chief designer for the company, and they don’t do a lot of collaborations like other popular folding knife brands. This makes them a little different in our eyes, and we respect that. Columbia River Knife and Tool (CRKT) is an American knife company based out of Tualatin, Oregon. Founded in 1994 by Paul Gillespi and Rod Bremer, CRKT is known for making high-value knives; however, the company also makes multi-tools, sharpeners, and other related products. Columbia River Knife & Tool, or CRKT, makes knives for hunters, survivalists, and for other purposes. The company uses high-quality stainless steel to produce razor-sharp and durable blades. CRKT folding knives have spring-assisted mechanisms that make them comfortable to open while locking mechanisms guarantee they stay in place while in performance. CRKT has teamed up with a number of well-known knife designers and custom makers producing some very interesting designs. Many well-known names in the knife industry have or are engaged in ongoing collaborations. This list includes Doug Ritter, Alan Folts, Ken Onion, Glenn Klecker, A.G. Russell, Pat and Wes Crawford, and many more. Since 2006, Zero Tolerance has been producing the best quality knives. There is no doubt that it is among the best folding knife brands. Zero Tolerance is constructing some sincerely heavy duty folders. We admire the thick frame locks and ultra-high end steels ZT keeps using. This is definitely a brand to watch; we will be doing Zero Tolerance knives review very soon. The knives are tough, high-quality knives with high-end steel, overbuilt locks, assisted openings and all sorts of other cool goodies that tactical knife lovers appreciate. All Zero Tolerance knives arrive sharpened and oiled, and instructions on the care of a customer’s knife are included. All factory purchases come with a lifetime limited warranty, which ensures a finely-tuned product that fits the ideals of a real knife enthusiast for years to come. Zero Tolerance prides itself on producing only American-made knives. Cold Steel was founded in 1980 as the self-proclaimed maker of the strongest and sharpest knives in the world. Cold Steel manufactures tactical knives at an affordable price. They test with new steels and continually innovate. Cold Steel makes folding knives as well as fixed blade survival knives with a wide selection so you are sure to find the one you need. They are also known best for their outrageous marketing videos. Cold Steel has established itself as a company that makes affordable and very functional knives and tools. Ranging from little blades, to full size samurai swords, there is a little something in the Cold Steel catalog for everyone, as said earlier. One thing we really appreciate about Cold Steel brand is the altogether variety of products they offer. Being said that, they make everything from small knives to large battle axes. They also make cases, machetes, pepper spray, baseball bats, swords, clubs, hatchets and all manner of edged weapons. If you ever find something that is both reasonable and high-quality, that’s the kind of discovery that makes Priceonomics tingle with happiness. The Victorinox is that kind of brand. Victoria is well-known pocket brand popular for making high-quality kitchen knives. Chef absolutely loves this brand. Each knife produced has an extremely low carbon footprint. The heat produced by their factory is actually used to heat the homes surrounding their factory at no cost to the people. I love all of the knife companies currently in this list, but Victorinox is doing something that nobody else is. The heat produced by their factory is actually used to heat the homes surrounding their factory at no cost to the people, AWESOME. 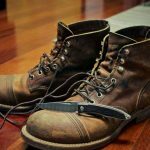 We love all of the knife companies currently in this list, but Victorinox is doing something that nobody else is. High-quality product, great fit, and finish, low price point, low carbon footprint, giving back to their community, lifetime warranty, and excellent performance. Kabar has been making knives since 1898. KA-BAR make knives for hunting, utility, sporting, and survival, KaBar is best known for making military and combat knives. KaBar is responsible for such icons as the US Marine Corps combat knife as well as the US Navy utility knife. Their products are robust, hard use, reliable, and have withstood the test of time. It's hard to go wrong with a KaBar knife. Ka-Bar knives are high quality, high carbon knives. The high carbon factor yields a tough blade with high Rc factor and the happenstance that it is also good for using some synthetic flints for striking sparks. All brands are good at something that's why they established themselves as an authority. Some knife brands provide the best blades, but some offers the best locking and opening mechanism, and some offers elegant looks. 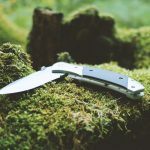 Best Female Pocket Knives – 2019’s Fresh List!